While wandering the aisles of a grocery store yesterday evening (sometimes you have to take what “me” time you can get), I saw a plaque that read “A Messy Kitchen is a Happy Kitchen”. The sign had a grinning sow and a mock aged patina, clearly for the country kitchen fan. I looked at the sign, not with an interest in purchasing it, but rather to ponder the sentiment. Does a messy kitchen really mean a happy one? I’ve had it both ways – messy and clean(er). For me, I much prefer clean. A messy kitchen just makes me feel glum. Nothing takes the wind out of my baking sails than walking into the kitchen and seeing dishes everywhere. Who wants to whip up some impromptu cookies if you have to wash two loads of dishes before you start? Clearly, I look too deeply at things (sometimes a cigar is just a cigar) but is the message more about justification or explanation? If you hang that sign in your kitchen, does it give you an out when the dishes are everywhere and you’d rather just watch TV than wash them? I kinda give credence to subliminal messaging and I wonder if such a sign reinforces slacker impulses. Hogwash, you say. I don’t know if it is hogwash or not and maybe that’s the point. Some people are disciplined enough to do what needs to be done and others can let a grocery store sign keep them on the couch (I’ll scoot over, join me). For me, I’m trying to live by two absolute rules – I can’t go to bed if there is clean laundry to put away and I can’t go to bed if the kitchen is a mess. Yes, some nights I’m putting away the last of the towels at midnight but I sleep easier. Mrs. Zuckerman: Well, he’s clean anyway. That buttermilk certainly helped. My kitchen might not be terrific or radiant but it’s clean anyway. That’s happiness I can get behind. Did you see the film Stranger than Fiction (2006)? If not, I recommend it, particularly if you are having a no-good-very-bad-day. I won’t get into the plot because this isn’t a movie review, but there is a scene where Will Ferrell is being asked by an adversarial baker if his mother ever made him cookies as a child, when he was having a bad day. His reply is that his mother never really cooked. Cookies can save the world. I believe it. Some cookies are better than others but the best are made simply, with what you have on hand, when you need them most. 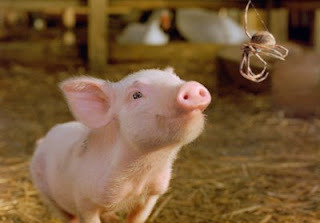 The film ends with a good quote; “As Harold took a bite of Bavarian sugar cookie, he finally felt as if everything was going to be ok. Sometimes, when we lose ourselves in fear and despair, in routine and constancy, in hopelessness and tragedy, we can thank God for Bavarian sugar cookies…” Or Peanut Butter cookies as the case may be. From the 1920s through the 1970s, women in the mid-west could tune into AM broadcasts of fellow homemakers sharing their lives, their recipes and their plugs for certain products. These ladies were among the first female broadcasters. They had regular sponsors and loyal listeners. Isolated farm wives often compared these broadcasters to friends and came to count upon their folksy stories and advice. One of the famous personalities, Evelyn Birkby, considered it “neighboring over the air”. Radio homemakers reached their zenith in the 1950s, with regular newsletter subscribers and publicity photos. Fannie Flagg, author of Fried Green Tomatoes, authored another book with Neighbor Dorothy, a radio homemaker, as the main character (Check out Standing in the Rainbow). It’s an obvious comparison to say that bloggers are the new radio homemakers. I think that there are similarities, but I don’t totally agree with that comparison. In my mind, bloggers are more like traders on Wall Street – thousands of voices clamoring to be heard, a cacophony of sounds that readers need to sift through to find the blogs that are interesting to them. The radio homemakers operated in a time before FM radio, before television. Their audience were mostly isolated by geography and distance. Rather than Wall Street, these ladies and their fans were Main Street, neighbors chatting over the clothesline, after Sunday services, at the post office. It was more personal because of the voices, the sounds involved. Some of the radio homemakers did their broadcasting from their own kitchens, involving their families in the songs and stories. Listeners came to know them and their lives. There couldn’t be a true revival of radio homemakers because the world has gotten so much smaller. As connected as the Internet has made things, it has also made it far less personal and more anonymous. I still think that blogs have given a voice to every interest and they can serve as modern coffee klatches or homemaking clubs to those who yearn for connection, but the participants have to work to overcome the anonymity and impersonal nature of the Internet. I try to visit the blogs of every commenter and I check in daily with the blogs I consider part of my circle. I also venture forth and look for new blogs, new people that might want to join in for some cyber coffee and a virtual slice of pie. It might not be the same as neighboring over the air, but many bloggers are my friends just the same. I had a religious experience yesterday. Well, religious in that “pause to meditate on the moment, Zen-ish” sort of way. As you know from reading my posts last week, I have been in a funk of late. One sad side of effect of a funk for me is letting housework slide. This was especially true in the kitchen. Dirty dishes as far as the eye could see. Well, yesterday I surfaced from my funk with renewed vim and vigor. It was time to tackle the mess, within and without. The kitchen was first on the list. The dishwasher was loaded and yet there were plenty of dishes left to be cleaned. Now normally, I would leave those dishes in the sink until the dishwasher is done; after all, that’s its job, not mine. But yesterday I couldn’t stand to leave them sitting around. So I did the rare thing and filled up the sink with scalding water to handwash them. I stood at my big farm sink, staring out my window at the large maple in the backyard, wet and soggy leaves piled at the trunk. My hands dipped from the lavender and lemon dishwater, hot enough to turn my fingers red, to cool water for the rinse. Hot and cold, hot and cold. It could have been fifty years ago as I washed those dishes, the timeless act repeated by so many; the simple act of scrubbing away the left-over bits of yesterday’s dishes. I finished the last dish, disappointed that there weren’t more to wash, to rhythmically transform from dirty to clean. I drained out the dirty water and then scrubbed down the sink. The last dregs of the funk seemed to flow down the drain with the water. I felt better than I had in days. I’m still going to use my dishwasher but it was nice to remember the restorative power of clean. For a few minutes, it was prayerful. I like nostalgia, as a concept. Not the kind of nostalgia that ignores past injustice and pretends things were “the good old days”. No, that’s not the nostalgia I mean. My kind of nostalgia is about finding elements of the past that brought contentment or support for those living then but for some reason don’t tend to happen anymore. My nostalgia is romanticized, surely, but not blindly so. Perhaps examples might illustrate what I mean more clearly. I’m thinking of the kind of town that had a coffee shop with really good pie and coffee. A time when the butcher would take the time to find the right cut of meat for the dish you were making. A place where block parties, ice cream socials, kids’ lemonade stands and fourth of July parades wouldn’t cause law suits or cynical eyebrow raises. A time when community mattered alongside of family. The kind of place that lives in Rockwell’s paintings, grandmothers’ stories and old Hollywood musicals. That is my idea of nostalgia; not quite reality but bits and bobs of the past sprinkled throughout. Bearing that in mind, I’ve often wondered if I could find such an idealized place in my neck of the woods. I’ve driven through towns – big and small – and looked at the Main street, the parks and schools, wondering if this town was Brigadoon (or more likely Peyton Place). I’m not looking for “Pleasantville”; don’t get me wrong on that front. Freedom to think, to question, to search is far more important than any creature comforts or community goals. But, in my heart, I wonder if such a place exists and would I be happy there. Would I be able to make my home in Brigadoon? Ultimately, even though I strive to retrieve bits of nostalgic life – warm pies on the windowsill, gingham aprons on the clothesline, good coffee and close friends – I don’t think Brigadoon is the place for me. It’s the elusiveness of such a place that makes it interesting and inviting. Everyday can’t be a holiday, or holidays cease to be special. Warm pie can’t be on the windowsill everytime or there won’t be room for other more risky treats. The lure, and ultimately the failing, of Brigadoon is the perpetual sunshine that smiles on those folks sleeping through each hundred years. That’s a lot of life to miss just to stay cozy in your cottage, untouched by the evils of the world. No, I’ll always want to visit my daydream town and sit a spell at the coffee counter with a big piece of peach pie, but sooner or later, I’ll want to drive off down the highway and check out the next town and the next. But I’ll take plenty of pictures while I’m there so I’ll remember it all when it’s gone.